Queer history is history of losses. It is the loss of the history of a diffuse, heterogeneous and non-normative community, but also the historical loss/es of queer people in their daily affective experiences and emotionally endured traces, whose laws and contents are impossible to be remembered and narrated with the dominant institutional museum, history and archive terminology. However, such loss is also the loss of the symbolic capital, of the right to a position in the symbolic economy, the right to access the positions for representation, production of knowledge, forms of living and intimacy. In times of imposed normativity and enforced stigmatizing silence, or rather in times of ‘free’ choice of invisibility as a sort of necessary survival strategy, we aimed with this project to challenge the archive regimes loudly. By making visible, via archive selection mechanisms, organization, maintenance and presentation, exclusively what already exists as available cultural material, these regimes reproduce the conditions of visibility, or rather the heteronormative national culture, which already provide that certain forms of life, love, sexuality, intimacy and togetherness are recognized as legitimate, while all other emotional relationships and communities are banished to the shadows of their visibility. It is our opinion that the dominant regimes of the archive and the cultural heritage are locked in the narcissistic circle of self-reproduction, where they create the unequal regimes of visibility, repeating and consolidating them as the only visible in cultural products of representation and memory. In this constellation, our challenge was to create an archive based on memory, on everyday lived experiences, on the affects and emotions that mark the life of a lesbian, gay, bisexual or a trans-gender person, of all those whose identity or emotions are excluded from the normative sphere of the nation. The challenge of such an archive is that it embodies ephemeral, diffuse, unstable, affectively coloured material that testifies of the shiver in the living body. This is a material released from the institutional official interpretation, selection and organization of the national historian. What is the potential this kind of archiving has in contesting certain or hegemonic regimes of distribution of visibility and intelligibility, which is to say certain power regimes is what I would like to explore and raise as a point of discussion in this presentation. Slavco Dimitrov (b. 1984) holds a diploma for Comparative and General Literature at the University of St. Cyril and Methodius and holds MA in Gender Studies and Philosophy. 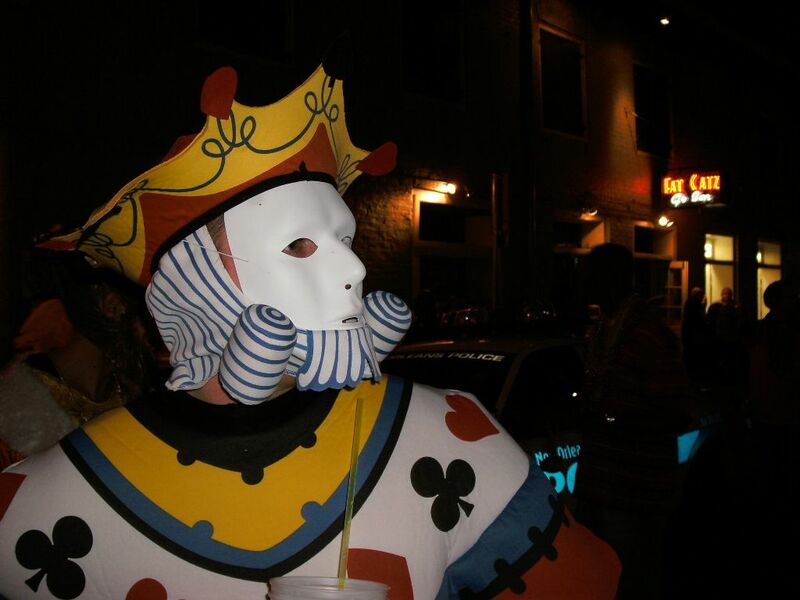 He is a PhD candidate in Gender Studies and Philosophy and working on his PhD thesis on the subject of: Corporeal Pass-activism: Paradoxes and Repoliticization of Corporeality. He is working as a researcher, teaching assistant and project coordinator in the Visual and Cultural Research Centre at the Institute for Social Sciences and Humanities Research Euro-Balkan, Skopje. In the last several years he has coordinated several projects concerning the human rights and non-discrimination of minority communities in Macedonia. At the moment he is director of the Coalition for Sexual and Health Rights of Marginalized Communities. He has published several texts on the subject of literary and film theory and interpretations, gender, sexuality and identity, and contemporary arts in Macedonia, in various publications from academic and artistic provenience in the country and abroad, and participated in several international and local research projects in humanities and social sciences. His main theoretical and writing interests are related to issues of gender, cultural theory, political philosophy, identity and narration, deconstruction of subjectivity and queer theory. From the exhibition Article One, Chifte Amam (National Gallery of Macedonia), 22.02 -15.03. 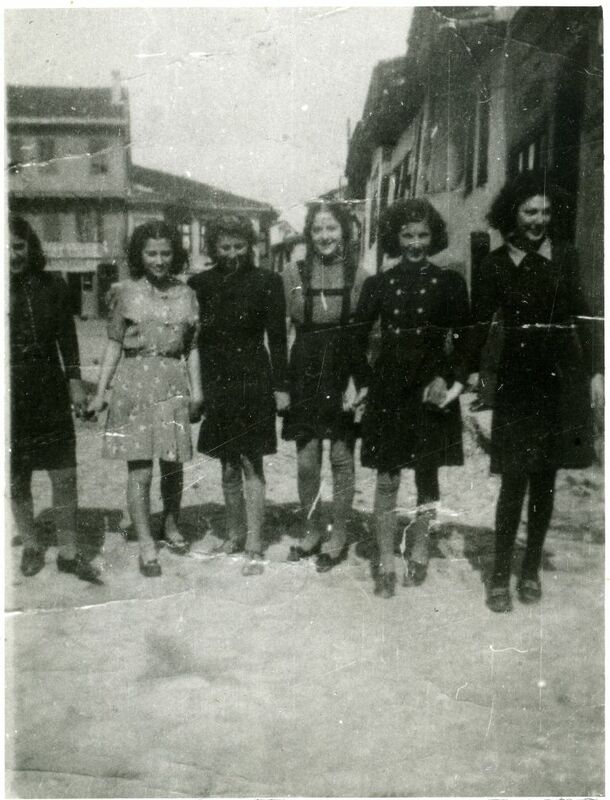 “The Jews from Macedonia and the Holocaust” is an international research project realized by the Institute for Social Sciences and Humanities “Euro-Balkan” in Skopje, Macedonia, in 2010-11, supported by the Education, Audiovisual and Culture Executive Agency (Brussels). The chrestomathy “The Jews from Macedonia and the Holocaust: History, Theory and Culture” [Евреите од Македонија и холокаустот: историја теорија, култура], edited with a foreword by Sofija Grandakovska, Ph.D., published bilingually (Skopje: Euro-Balkan Press, 2011) and the thematic exhibition with historical-documentary character, are the two results of this monumental project dedicated to the Holocaust subject in Europe. The research results acquire the peculiarity and reference in the narrow field of studying the Holocaust over the Jews in Macedonia and the central subject of scientific interest is the tragic destiny of 7,148 Jews from Macedonia killed in 1943 in the gas chambers of Treblinka II (Poland). The comparative study “The Jews from Macedonia and the Holocaust: History, Theory and Culture” edited with a foreword by Sofija Grandakovska, Ph.D., introduces a polemic on the code of the Jewish narrative and its rhetoric, focused on the Jews from Macedonia, with this group being targeted by the Nazi’s for the Final Solution in Europe during the Holocaust. The prism of interdisciplinary and intertextual approach, and within the broader understanding of the term holocaust, the excerption of the Jewish question and its “special treatment” within the Nazi plan and the Second World War, provided our subject of discussion, through its central axis -the Holocaust, to penetrate, most expectedly, into two other broader frames with chronological portent: pre-Holocaust and post-Holocaust theoretic thought. In the chrestomathy “The Jews from Macedonia and the Holocaust: History, Theory and Culture”, structured in three subject sections, are published fourteen original works by: Vera Vesković-Vangeli, Marija Pandevska, Jasminka Namicheva, Liljana Panovska and Zhamila Kolonomos in I. Historical Narrative and the Testimony as Passive History; of Ivan Mikulcić, Nancy Hartman, Samuel Sadikario, Krinka Vidaković-Petrov, Ivana Vucina Simović/Jelena Filipović and Jovan Čulibrk in II. How Culture Remembers; and of Tijana Milosavlevic-Čajetinac, Sofija Grandakovska and Gil Anidjar in the third subject section III. 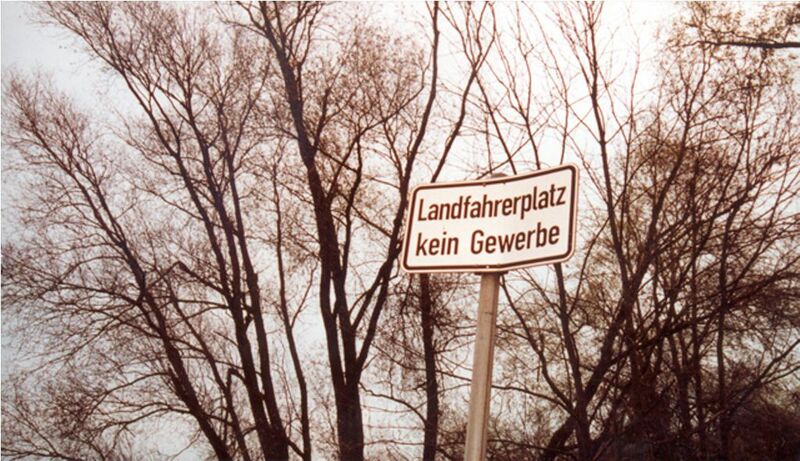 The Post-Holocaust and its Theoretic Discourse. The exhibition “The Jews from Macedonia and the Holocaust”, designed by Zaneta Vangeli, co-curated by Zaneta Vangeli and Sofija Grandakovska and set in the Gallery at the Macedonian Academy of Sciences and Arts (September, 2011) - is a visual replica on the discursive level of the chrestomathy and together they give form to the diachronic structure of the chrestomathy in combination with the unattainable domain of the profoundness of evil and the range while presenting its details regarding the simultaneousness in the occurrence of the Holocaust evil in Europe. In the linear perspective of the historical event as a static film for the reader and the reader as a viewer, the exhibition composition follows the tripartite setting of the photo-documentary material in the chrestomathy and thus, becomes equivalent to the tripartite structure of the Holocaust evil: from its ideological development to the final implementation in Macedonia and the tragic faith of the Macedonian Jews in Treblinka in 1943. The visual narration of the exhibition is composed of eleven original photographs, the only material on the Treblinka camp, which after the uprising on August 2nd 1943 was torn down to the ground by the Nazis, thus destroying all the traces of its former existence; and of two documentary videos comprising the archival-documentary and abundant video material from: the Archive of the Central Commission for Investigation of German Crimes in Poland (Warsaw), the State Archive of the Republic of Macedonia (Skopje), the Cinematheque of Macedonia (Skopje), the Jewish History Museum (Belgrade), Chronosmedia (Berlin), the Bulgarian Film Archive (Sofija), the United States Holocaust Memorial Museum (Washington D.C.) and the private legacy of Dr. Vera Vesković-Vangeli. Sofija Grandakovska (b.1973) engages in interdisciplinary studies in comparative literature and visual semiotics. She holds a BA, MA and PhD from the Department of Comparative Literature at the Faculty of Philology “Blaze Koneski”, SS Cyril and Methodius University, in Skopje, Macedonia. In 2006 she was recognized as the best Young Scientist of the Year and received the Vita Pop-Jordanova Award from the Macedonian Academy of Sciences and Arts (MASA) in the field of literary studies, awarded in accordance with international classification. She has also received several other accolades in the field of humanistic disciplines and creative activity: an award as a sign of recognition for the affirmation of SS Cyril and Methodius University, Skopje (2006), the National Recognition by the Decision of the Government of the Republic of Macedonia regarding her receiving the Vita Pop-Jordanova Award from MASA (2006), a testimonial for her academic and scientific work, awarded by Ford Grant and the Museum of the City of Skopje (2004) etc. She is a member of the Union of Comparative Literature in Macedonia and of the International Association of Comparative Literature (AILC/ICLA). She is the author of the scholarly books The Discourse of the Prayer [Говорот на молитвата] (2008) and The Portrait of the Image [Портретот на сликата] (2010), and two bilingual books of poetry The Eighth Day [Осмиот ден](2005) and The Burning Sun [Препечено сонце] (2009), and is a co-editor of the bilingual book-zine edition DOMA [HOME], vol. 1 (2010). Her research papers have been published in many theoretical anthologies in Macedonia and abroad. Currently, Dr. Grandakovska teaches Contemporary Theories of Culture at postgraduate studies in the Department of Cultural Studies at the Institute for Social and Humanities Research “Euro-Balkan”, Skopje, Macedonia. The presentation entitled “Can you speak of this? The Exhibition as a Classroom of Difficult Questions” will look into the two year project conducted by DeLve / Institute for Duration, Location and variables from the perspective of curatorial tactics employed. Departing from the concrete project enveloping in Bosnia and Herzegovina throughout 2009 and 2010, the presentation will critically reflect on the problems revolving around any collective endevour which wishes to address war crimes and trauma while going beyond the “unambiguous” roles of perpetrator, victim, accomplice and observer. The departing point for such a reflection will be the question of who is it that should speak, and with what means, if he or she is to avoid the simplistic telling of (the “true”) stories, the establishment of the “fundamental interpretations” and reproducing the essentialist notions of identity. It will be argued that a radical transformation through engaged artistic and intellectual practice is possible only through the creation of new narratives and fields of references; with the cancelled “naturalness” of the pasts remaining in view now stripped off their mythic violence and subjected to scrutiny and critical reflection. The presentation will further examine how the multidirectional processes taking part within the overall project 'Where Everything Is Yet To Happen', enabled a different kind of community of learning and un-learning in the “classrooms of difficult questions” (Jasmina Husanovic), Entering these classrooms, as it will be demonstrated, meant embracing the contradiction between the often uncomfortable and unattractive slowness of reflection and the insistence on the prospective impetus of the overall endeavor. Antonia Majaca is an art historian, curator and researcher based in Zagreb and London. She is the co- founder (with Ivana Bago) of the DeLVe | Institute for Duration, Location and Variables (www.delve.hr), and acts as the artistic director of G-MK in Zagreb (www.g-mk.hr). Her research practice is focused on the relations between aesthetics and politics, modalities of dissensus, politics of anti-politics and post-anarchist theory and aesthetics, articulations of exodus and anti-essentialist communities particularly in the framework of New Artistic Practice of 1960s and 1970s in Yugoslavia. Her curatorial work usually departs from the consideration of concrete location, durationality and variablity of subjects and processes involved, and is premised on uncertainty, intuition, self-education, reiteration, remainders and the belief in the postponed audience. The exhibition Roma Protocol took place inside the Austrian Parliament’s Press Room. The space was chosen as one of the symbolic spaces where the control is produced and distributed to the media and thus it is a space where one should discuss the ways in which new laws and policies are produced in Europe in order to „discipline“ Roma. The exhibition was imagined as pressuring for discussions and actions in regard the most urgent and prevalent critical issue of insecurity of Roma populations in Europe today from within this safest place. 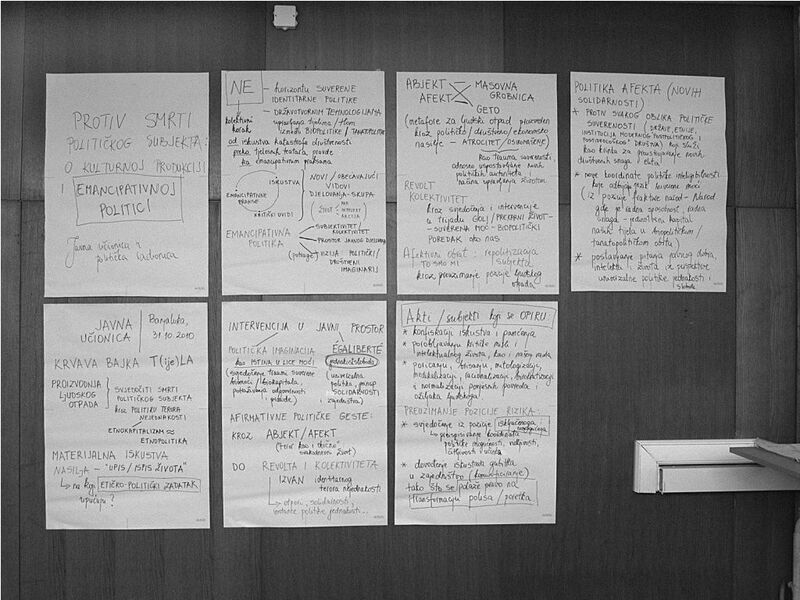 The project explored the possible entanglements and causal relations between the long suppressed, forgotten and carefully regulated truths from the past and the new protocols that are issued and proliferated time and again by different governments and institutions and ultimately cause controversial present condition of Roma. In the diplomatic context and in the judicial sense the term protocol refers to an agreed set of conventions including arbitrary rules, procedures, or ceremonies. Roma Protocol actually questions the recognized and generally accepted system or order of acts with which the neoliberal state produces a double bind action with which it first proclaims Roma as exceptional population and then creates exceptional protocols that leave Roma outside of normality and common rule, as a kind of sealing of all stereotypes and prejudices against Roma. 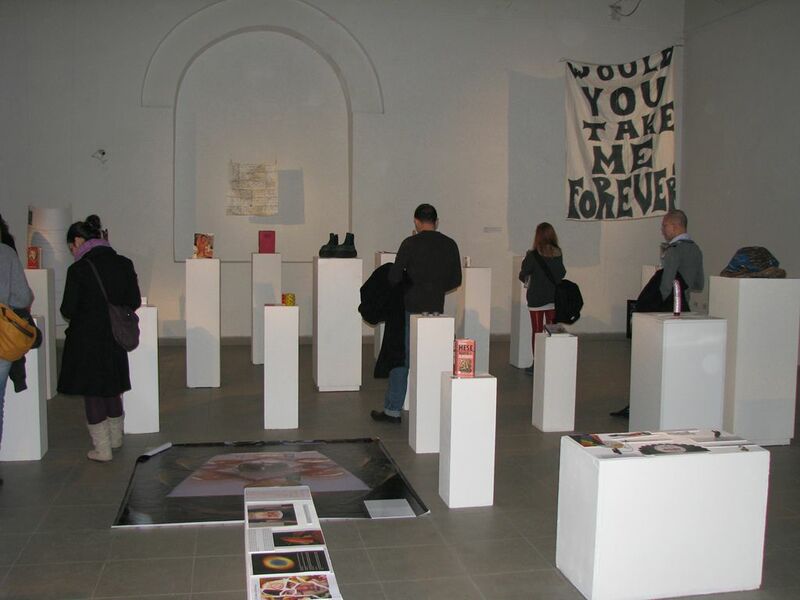 The exhibition presented several different artistic positions in regard to the actual situation of Roma in Europe today and it addresses the effects of the contemporary state Roma protocols such as the under-researched Roma Holocaust, racism, forced nomadism, displacements, evictions, property looting, unequal human rights, discrimination in education, etc. The four art works by the Roma and not-Roma artists Milutin Jovanović (Serbia), Marta Kotlarska /Malgorzata Mirga –Tas (Poland), Marika Schmiedt (Austria) and Alfred Ullrich (Germany) engaged with various phenomena and different media: Milutin Jovanović, Migration, 2011, 18’; Marika Schmiedt, What Remains…, 2000-2009, 2011, DVD-Loop, 20-30 min; Alfred Ullrich, Crazy Water Wheel, 2009-2011, Two-channel video installation, 18’ 38”; Malgorzata Mirga-Tas and Marta Kotlarska, Miraculous Water, 2006/2011, DVD loop. "Romani Click" - During the Wiener Festvochen the artists Malgorzata Mirga-Tas and Marta Kotlarska helped will run one day workshop within festival framework. Helped by Danijela Kostic from the initiative Romano Centro the artists and 15 Roma children will turn a classroom into a camera obscura by sealing off any incoming light and redraw the projection and make digital self-portraits. Dr. Suzana Milevska is a theorist and curator of visual art and culture based in Skopje, Macedonia. Currently she teaches history and theory of art at the Faculty of Fine Arts – University Ss. Cyril and Methodius of Skopje. From 2006 to 2008, she was the Director of the Center for Visual and Cultural Research at the Euro-Balkan Institute in Skopje and she taught Visual Culture at the M.A. Programme in Gender Studies. She holds a PhD in visual culture from Goldsmiths College-London. In 2004, she was a Fulbright Senior Research Scholar in Library of Congress. Since 1992 she curated over 80 international exhibitions, conferences and other projects (in Skopje, Istanbul, Stockholm, London, Berlin, Bonn, Stuttgart, Leipzig, Vienna, etc.) She was one of the co-curators of the International Contemporary Art Biennial at the National Gallery in Prague (2005) with “The Workers’ Club”. Her interdisciplinary project “The Renaming Machine” (2008-2010) consisted of series of exhibitions and conferences (Ljubljana, Skopje, Pristina, Zagreb, Vienna, etc.) that resulted with the book The Renaming Machine edited by Milevska (P.A.R.A.S.I.T.E. Institute, Ljubljana, 2010). She was a researcher for the projects “East Art Map” (initiated by IRWIN, 2001-6) and “Gender Check” (curated by Bojana Pejic, MUMOK, Vienna, 2009-10) and for “Call the Witness – Roma Pavilion”, at the 54 International Art Exhibition –Venice Biennale-Collateral Event, 2011 and curated the exhibitions “Call the Witness”, BAK, Utrecht, and “Roma Protocol” at the Austrian Parliament. Recently she published her book Gender Difference in the Balkans (Saarbrucken: VDM Verlag, 2010). This presentation will focus on the act of producing art projects, which render memory re/construction and lapses in specific places with loaded memory and control. Therefore, by navigating through two case studies as "UNCOVERED. Nicosia International Airport" and "Eclipsed Voices", it will integrate a consideration of the social, political, and cultural situations that shapes the development of a project, as well as the role of the control mechanisms in this process. “Eclipsed Voices (2004-present)” is a long-term research-based art project, detecting works, whose subject matters coincide with memory and alter diverse issues of social, political, cultural, and economic aspects of our daily life. Each work, in its own way, has the restrained intention of trying to understand the local realities that surround us and shape our identity. All together communicates some off-the-record information about various conditions and realities. Hence, the “off-the-record” narratives have the potential to generate voids in the vortex of registered histories. The collection of works touches upon the issues of the control of the memory as each work clearly manifests how individual stories about the past interact with existing narratives and other forms of remembrance. The "UNCOVERED. Nicosia International Airport" , which is another long-term research-based project, takes place in Cyprus (2010-2013), and its areas of investigation are the issues stemming from the prolonged condition of the closed Nicosia International Airport, which has been under the control of the United Nations since July 1974. 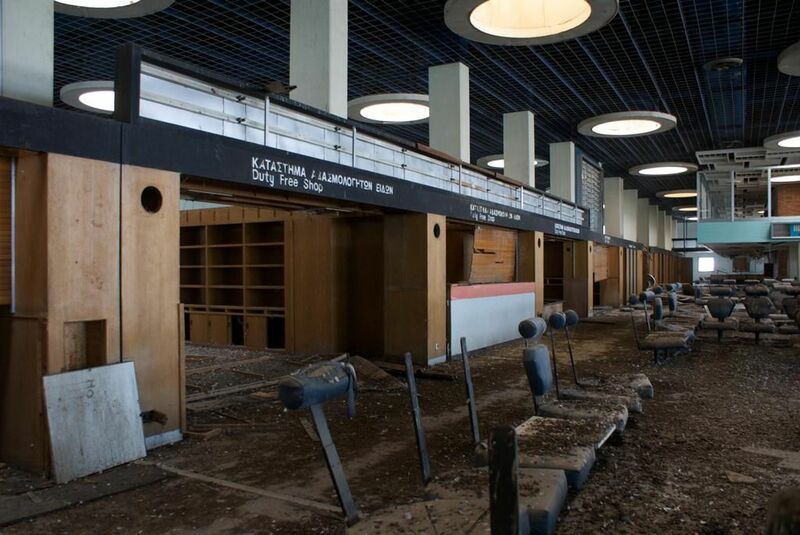 The airport has been closed to the public for the last 36 years. The site is mainly used as the headquarters base of the United Nations Peacekeeping Force in Cyprus. Through the channels of art and an archiving process, we have implemented the project in a map of a complex network of on-going processes that overlap and intersect with each other. The UNCOVERED project collects various local and international perspectives, objectives, images, views that convey social territories, cultural productions and collective receptions that process the conceptual framework of the project. In the light of these two case studies, this presentation is an attempt to discuss the relationships between various concepts including memory and archiving; control and design; perception and interaction within the territory and limitations of contemporary art practices. Basak Senova is a curator and designer. She studied Literature and Graphic Design (MFA in Graphic Design and Ph.D. in Art, Design and Architecture at Bilkent University) and attended the 7th Curatorial Training Programme of Stichting De Appel, Amsterdam. She has been writing on art, technology and media, initiating and developing projects and curating exhibitions since 1995. Senova is the editor of art-ist 6, Kontrol Online Magazine, Lapses Book series and many other publications. She is one of the founding members of NOMAD, as well as the organizer of ctrl_alt_del and Upgrade!Istanbul. She is the curator of the Pavilion of Turkey at the 53rd Venice Biennale (2009); lectured (Assist.Prof.Dr.) at the Faculty of Communication, Kadir Has University, Istanbul (2006-2010). Recent exhibitions and projects that she has curated include "Conscious in Coma", "Rejection Episodes", "Unrecorded", "Eclipsed Vocies", "Extracted Objects", "Soft-Borders", "Siyah (White)", and "Aftermath". Currently, she co-curates UNCOVERED (2010-2013) project in Cyprus and 2nd Biennial of Contemporary Art, D-0 ARK Underground (2013), Bosnia and Herzegovina. Senova works as the curator of the Zorlu Center Art Collection, Istanbul. There is a clear political risk in trying to explain suicide bombings. Why is there a clear political risk in trying to explain so-called “suicide bombings”? As a Lebanese-Australian Professor of Anthropology and Social Theory at the University of Melbourne, Ghassan Hage, himself put it: “Why it is that suicide bombing cannot be talked about without being condemned first?” (Hage 2003). The concept of “suicide bombing” has had a powerful presence in the contemporary world, yet the meaning of “suicide bombing” lacks clarity in the contemporary discourse. The risk undertaken in order to articulate a discourse around the forms of violence identified as “suicide bombing” is but one clear example of the pressure imposed on critical thinking - whenever this kind of discourse is embraced from outside a dominant, “normative” viewpoint. In such a way, due to the very contested identity of its practitioners, “the war on terror is in equal measure a war on hermeneutics, on understanding, on counternarrative writ large” (Gana 2008). In terms of Nouri Gana, a Tunisian-born intellectual and assistant professor of comparative literature & Near Eastern languages and cultures at the University of California, Los Angeles, the challenges confronting contested identities (out of which the most contested identity today is certainly the “identity” of “terrorists”) lie at the very basic level of their impossibility to communicate and represent themselves. Consequently, their lack of permission “to narrativize themselves out of their otherwise largely disposable condition” produces the general prohibition on the “narrative terrorism” (Gana 2008). On the other hand, the relevance of the so-called “suicide bombing” - in the Islamic world as well as in the global world as we experience it today – is neither insignificant nor easily tied to the scientific discourse around suicide in the psychiatric field in particular. Throughout the last decade it has not been rare to encounter a large variety of opinions dealing with the intricate relationship between the so-called “suicide terrorism” and the clinical suicidality, especially in what has been applied to protagonists of this type of resistance as “exhibiting clinically suicidal risk factors” (Lankford 2010). I would, however, prefer to avoid this kind of approach, despite its scientific probability and viability, and precisely due to the following facts: (a) it relativizes the vitality of the political reasons for the phenomenon of the so-called “suicide bombing” to emerge, but also, and even more importantly, (b) the emergence of its political vitality goes much deeper into the history of humankind. This especially holds true in what regards the troubling historical (and still ongoing) hegemonic power-relationship between the colonial and anti-colonial forces as early as the beginning of sixteenth century (Dale 1988). Against the historical short-sightedness and relativization, this paper puts into focus the material (textual and visual) aspects of struggle between the Western political and economic missions backed up by the fundamental Christianity on the one hand, and by the Muslim resistance against the European and North American colonial oppression, on the other. It is from this perspective that the roots of Muslim political and religious resistance as an answer to colonial exploitation need to be reinforced, for the sake of a more nuanced and more profound analysis of the issue of the so-called “suicide terrorism”. It is also from this critical viewpoint, I would argue, that ANY contested identity nowadays is to be approached (and certainly MANY of them have been maintained by “balkanic” mentality throughout its historical eruptions of hetero-normative moral judgments) if we are to build on the possibilities that, against such dominant and condemning viewpoints, await to be realized and exposed - without constraint, without fear and without any further delay. Marko Stamenkovic (b. 1977) is an art historian, critic and curator. Born in Vranje (Serbia) and based in Ghent (Belgium). Member of IKT – International Association of Curators of Contemporary Art (Luxembourg). BA, Art History, University of Belgrade - Faculty of Philosophy, History of Modern Art Department (BA Thesis: “Theory of Gaze and Reading of the Image”, 2003). MA, Cultural Policy and Cultural Management (UNESCO), University of Arts in Belgrade - Interdisciplinary Studies accredited by the University Lyon 2 (MA Thesis: “Status of Curatorial Practices in Post-socialist Conditions”, 2005). PhD (since 2011), University of Ghent - Faculty of Arts and Philosophy, Department of Philosophy and Moral Sciences (Doctoral Thesis: “Suicide Cultures. Theories and Practices of Radical Withdrawal - A Transnational Cultural and Media Paradigm [2001-2011]”).